Many people have a notion that applications are meant to be used in web or in mobile. However, that is not quite true. There are applications that run in computer or laptops without the web or web browser. Such applications are known as desktop application. The word ‘desktop’ itself gives a small idea about what desktop application means. Most of the people use Windows operating system in their home computers or work computers. There is no use denying the fact that Windows is very simple and easy to use. But, many people tend to think that Windows is the only available platform in the world. But, they are wrong because there are many kinds of platforms that can run in computers or laptops. For example: UNIX, Linux, iOS (Apple products only) etc. These platforms are getting popular day by day. So, there might be a day when you or your company might make use of these platforms as well. When you want to use another platform then you might come across a few problems. For example: Some of the application that might be running efficiently in the Windows might not run in iOS or Linux. So, when you change your system’s operating system then you might face some application crisis. To prevent that from occurring, it is best to have a multi platform desktop application from the very start. These types of applications will run in any kind of platform and is not focused in only one kind of platform. As the demand for such applications have been increasing the PHP development Company in India have started to create such applications with the help of PHP language. 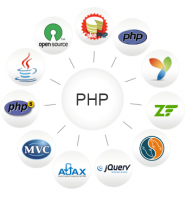 PHP Development Company in India has been using PHP to develop desktop application. Many people might think that using Java or .Net would be enough to build a desktop application. So, why bother using PHP? The answer to this question is that with Java and .Net you can build a simple desktop application that mainly runs in a single platform. But, with PHP you can build a desktop application that can run in multiple platforms. 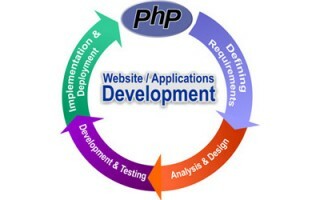 That is why the number of PHP Development services in India has been increasing. PHP-GTK is considered better than PHP in the development of desktop application. Not many people are talented in PHP and some do not even know anything about it. In that scenario, you might find that many PHP development services in India fail to provide you with the application that you are seeking for. So, you should hire a PHP development company that knows what it is doing. You can check its previous records or work completed to see if that company could actually give what you want. Thus developing multi platform desktop application using PHP is very difficult, but it is not impossible. So, if you are planning to make such applications then make sure that you choose the right company for it.